Brian was born in Wisconsin, and grew up in a small town environment. He attended Catholic elementary and high school, and eventually attended the University of Minnesota; graduating with honors in Philosophy, and a minor emphasis in Anthropology. While still in undergraduate, he was co-author of a paper on cognitive psychology presented at a meeting of academics. He enrolled in the University of Denver Law School, and in the first year won a place on a competitive team arguing appeals before other lawyers. A J.D. degree was awarded in May of 1997. 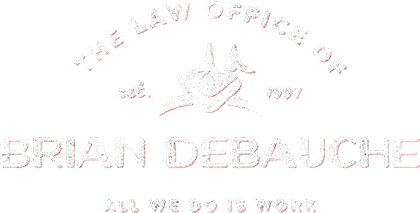 The firm formed in October of 1997, the day a bar number was issued, and has operated in Colorado ever since, both in trial and appellate courts. Currently this firm is registered to practice before most state trial and appellate courts, as well as the Board of Immigration Appeals, the Executive Officer for Immigration Review, the Colorado U.S. District Court, and the Tenth U.S. Circuit Court of Appeals.